Your team may consist of employees, independent contractors or both. It may have two members or 82. Regardless, it’s important to mentor your team every day. 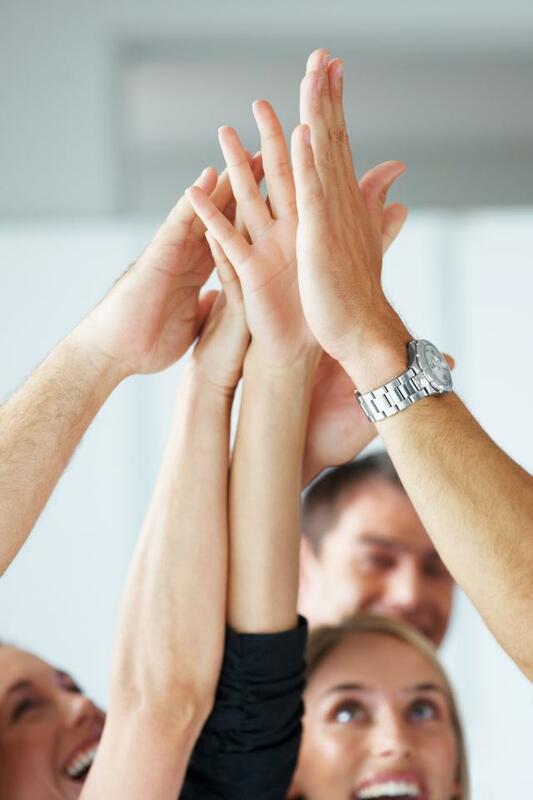 The power of a great team isn’t created at an annual holiday party or a quarterly meeting. It is developed through daily habits. Are you up for the job of leader? For a business owner, it’s the biggest job of all. Yet with just a few simple steps, you can grow as a leader and watch your team soar. Use the following strategies to nurture and lead a world-class team. What different personalities are you working with? Personality Plus: How to Understand Others by Understanding Yourself by Florence Littauer offers a revealing “personality profile” self-test and insightful advice to help people better understand themselves and others. Ask your team members to take the test and then share their personality profiles. Take it one step further by having each of them share their greatest strength and greatest weakness. My leadership team participates in a book club. We switch between reading a best-selling book on leadership and one on personal development, and we share a report on how the book relates to our business. We discuss the topic at our weekly team meetings. There is something very powerful about getting away from the business to work on the business. As leaders, we often do this on our own, and we encourage our team members to do the same. But taking your whole team on a planning retreat can yield huge results. My team escapes to a lake cottage for the day a few times each year. Everyone feels invested and heard. We leave the retreat with a clear direction for one specific area of the business as well as our defined role in that area. Every Sunday night, I email a personal message to my team. I share the highlights of my weekend, including activities I did with my kids or just for myself. (People often perceive leaders as workaholics. It’s good to share some of the nonwork parts of your life.) I also use the e-mail to acknowledge something that each team member did to overdeliver in the previous week. Further, I provide a lesson to focus on for the week to come: I often address difficult topics such as dealing with disappointment, being willing to forgive and stepping outside your comfort zone. Sharing common experiences unites teams. What better experience than to contribute to a local organization? Our team rotates teaching chair fitness at an assisted-living center each week. Giving back makes us feel good, plus it gives us something to talk about besides clients, payments and schedules. I have seen this simple commitment to team-volunteering work wonders. In the business of fitness, every day gives us an opportunity to enjoy ourselves. However, we can also plan special outings with the sole purpose of having fun together entirely outside of business. These outings are worth the investment because the memories last. My team enjoys an annual ski trip at a resort just a few hours away. Fair warning: If you haven’t kept up on daily team-building steps, this one won’t work. It’s hard to relax and play with people you don’t feel connected to. People want to know that their voice matters. You can do much for your team simply by listening. If you have time only to give high-fives on the fitness floor between clients, you must carve out more time to listen. When the club first opened I started holding weekly meetings with my managers, and I have kept it up for 6 years. We have moved the meeting off-site to a local deli where we gather for 3 hours. We don’t plow through the agenda; we listen, share, brainstorm and delegate. When I queried my leaders about their favorite aspect of being a member of this particular team, the weekly meeting topped the list. For more information, please see the complete article, “Developing Exceptional Teams,” in the online IDEA Library or in October 2011 IDEA Fitness Journal.